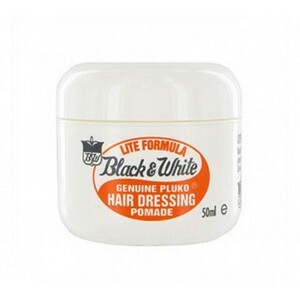 Black & White Pluko Lite is a versatile hair dressing that helps to keep hair manageable and textured all day. Provides light control and superior shine with natural conditioning oils. It is suitable for all hair types. This hair pomade is still light enough that you can re-style any time of the day.